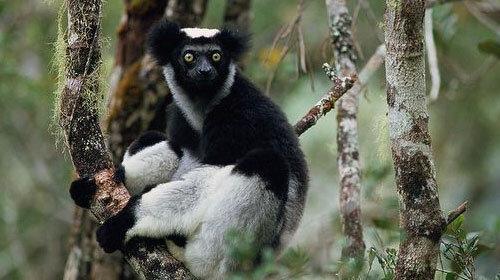 The Indri is native to the eastern forests of Madagascar and is the largest species of Lemur on the whole island. The local natives believe the Indri to be an ancestor of man and as such the species is protected to a certain degree with locals banning hunting and human consumption. Unfortunately even with this level of protection the population of the Indri is still in decline due to loss of habitat from human expansion and there is currently though to be anywhere between 1000 and 10,000 individual Indri alive in Madagascar today. 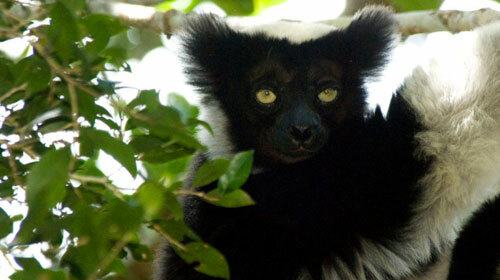 The Indri gets its name from the local word indri which literally translates to ‘there is is’. When trying to point out the Indri to visitors and explorers the locals would shout ‘indri, indri!’ (there it is, there it is!) 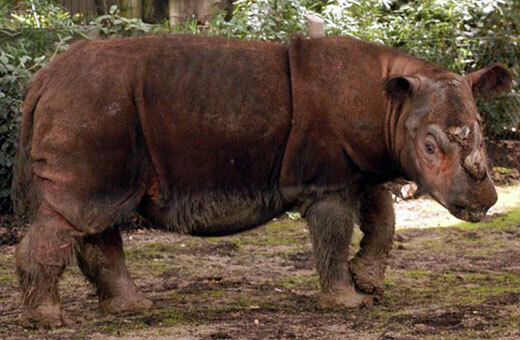 and since then that is how the Indri has been known. The Indri are covered in soft black and white fur which varies depending on localization with the Indri further south having more white fur and the norther Indri being predominantly black. The Indri have bright green/yellow eyes and black skin but what separates the Indri from other lemurs is that they have almost no tail at all, this is one of the traits the locals associate with the Indri being an ancestor of humans. When looking for Indri you need to keep looking up as the Indri are arboreal which means that they spend almost all of their lives up in the tress. Its likely that you will hear the Indri’s distinct call before you see it which resembles a human wailing. As the Indri are arboreal they have adapted to this lifestyle and have long slim hind legs which can propel the Indri up to 10 meters vertically which is quite a jump! The Indri are active throughout the daytime and feed primarily on fruit and leaves whilst in their canopy home. The Indri are believed to live in family groups of up to 6 consisting of parents and offspring. Although the female plays the dominant role the male is tasked with marking and defending territory and has the job of collecting food for the family. Female Indri reach sexual maturity at around the age of 8 and after successful mating (which usually occurs around January time) the female with will give birth, usually in may or June, to 1 offspring. New births occur approximately every 2 or 3 years however because of the dangerous lifestyle up in the canopy it is estimated that are 50% of infants die from falls and the like. Any surviving Indri young with become fairly independent after about 8 months but will stick with the family group for up to 3 years.